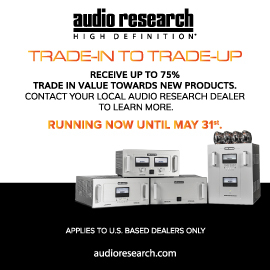 All over the world, there are good audio manufacturers you’ve never heard of. As entrenched as I am in high-end audio -- I’ve been with SoundStage! for two decades now, many of those years as editor-in-chief -- not a week goes by that I don’t see online some cool, audio-related thingamabob from a company I’ve never heard of. Granted, many of these “companies” are just a guy with a shop and maybe an uncle who’s helping him assemble his thingamabob. But if you don’t want to buy from the mainstream companies, there are options around every corner. You may never have heard of AudioSolutions if you are from North America, but they are quite well established and operate out of a 350-square-meter factory. Based in Lithuania, they’ve been in business for five years now. 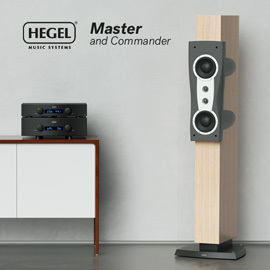 The founder and chief designer is a young buck named Gediminas Gaidelis, who began studying loudspeakers in 2003, and in the course of time learned that speaker design and manufacture are as much art as engineering. 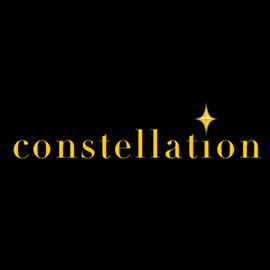 He formally launched AudioSolutions in the summer of 2011. Since then, Gaidelis has been busy filling out his already impressive stable of speaker models. He makes the tiny Guimbarde bookshelf model; the five Rhapsody models, the bread’n’butter of the AS line; and the flagship, the four-way, five-driver Vantage. 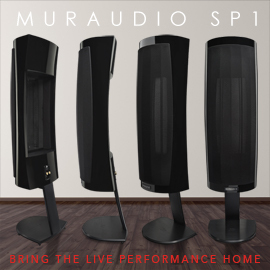 In May, at High End 2016, in Munich, he launched the new Overture series, the least-expensive models yet from AS: a center-channel, a bookshelf, and three floorstanders. I chose to review the smallest floorstander, the Overture O203F ($2780 USD per pair). The Overture O203F is a three-driver, two-way design standing 40.9"H x 9.1"W x 14.8"D and weighing 55 pounds. The speaker is boxy, though thoughtful design touches give it a unique appearance. The cabinet proper is made of MDF up to 1.4” (36mm) thick and is internally braced, and the speaker sits on a small rectangular plinth that gives it a firm foundation on the floor. To make the design cost-efficient while offering multiple finish options, most of the enclosure -- front, back, top, plinth, and edges around each side -- is covered in a textured gray paint not unlike Nextel. The sides, however, have permanently affixed recessed panels that can be ordered in a multitude of finishes -- the AS website lists 13 of these, from high-gloss and textured colors to high-gloss wood. You almost never see speakers at this price that can be customized to this degree. My review samples came with HG Ebony side panels. I found these panels to be well done; they added a touch of luxury to an affordable floorstander. Among the most visible features of the Overture line are the grilles. Each Overture speaker comes standard with two grilles: one with fabric, one without. These grilles are not optional devices, which is why there are two sets. Their pins fit into holes in the baffle, and the grilles must be installed for the speaker to perform properly. The tweeter is actually loaded by what AudioSolutions calls a mini-horn -- it’s not as wide-angled as a more traditional waveguide -- machined into the grille (the other drivers’ outputs are optimized with chamfered openings in the grille). The only difference between the grilles is that cloth covers one of them. Gaidelis told me that the reasons for the horn loading are several: for increased sensitivity and lower distortion, but also to lower the crossover frequency to 1900Hz. To accomplish this, the horn loading increases the tweeter’s output by 5dB between 700 and 3000Hz. In an e-mail, Gaidelis said that most inexpensive speakers suffer from distortion at or near the crossover frequency, and that his design addresses that. The O203F is equipped with a 1” (25mm) SEAS silk-dome tweeter; above and below it are a pair of midrange-bass drivers with 5.9” (150mm) cones of hardened paper. The midrange-bass drivers are vented to the rear through a flared port just above the biwirable metal binding posts (jumpers for single-wire operation are included). AS specifies the O203F as having a highish sensitivity of 91dB/2.83V/m and a nominal power handling of 90W (180W peak). The in-room frequency range is a claimed 36Hz-26kHz, the nominal impedance 4 ohms. I began my auditioning of the Overture O203F by listening to “Scared for the Children,” from Jeff Beck’s new Loud Hailer (16-bit/44.1kHz FLAC, Atlantic/Rhino/Tidal). Beck’s ethereal electric guitar immediately cast a thick layer of sound in my room, sounding tangible but not overtly sharp. At about 1:35 in, when Rosie Bones begins to sing, her voice, unlike the guitar, was more precisely positioned on the stage. The center image of the voice was solidly there, but never veered toward the hyperrealism of too-crisp outlines. The bass was full and somewhat round, with enough low-frequency depth to steer most listeners away from adding a subwoofer. 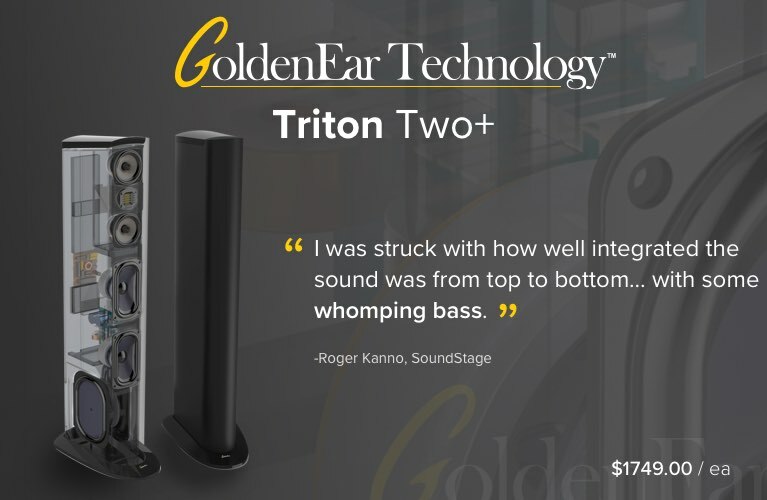 I thought, They sound pretty big -- surprising for a speaker with a pair of 5.9” woofers. Next up was “Light Me Up,” from Ingrid Michaelson’s latest, It Doesn’t Have to Make Sense (16/44.1 FLAC, Cabin 24/Tidal). Her voice soars in this song, and the AS speakers nicely conveyed her wide vocal range -- unlike some soft domes, this one is not subdued. No, the sound was more open than I’d thought it would be, perhaps owing to the tweeter’s mini-horn loading. Regardless of why, I was impressed, and enjoyed the free-flowing sound of the O203Fs with this recording. Then I loaded up the Silk Road Ensemble. In 2016, the current lineup of cellist Yo-Yo Ma’s rotating group of classical musicians released Sing Me Home (16/44.1 FLAC, Columbia Masterworks/Tidal), which features Abigail Washburn singing “Going Home.” The sound of the stringed instruments was authentic, with none of the offensive edge so often heard from cheap metal-dome tweeters. I attribute this lack of brightness not only to the silk of the O203F’s soft dome, but also to the speaker’s voicing -- it’s clear that AS didn’t want to make a speaker with tilted-up highs. They’ve succeeded. The O203F’s tonal balance will suit most any music, though it will be perceived as being slightly forgiving of lower-quality recordings. At this point in my auditioning I concluded that while the AudioSolutions could sound nice and cozy, it was time to open them up a bit more to hear just where their limitations might be. I cued up Donald Fagen’s Morph the Cat (24/96 AIFF, Reprise/HDtracks), an old standby of a demo for the well-recorded kick-drum that opens the title track. I cranked up the volume and played the opening minute about ten times in succession. At 90dB in my room, measured at the listening position with an SPL meter app on my iPhone 6, the O203Fs did not fall apart. Far from it -- the sound was punchy and palpable, if missing the last iota of physicality that bigger speakers can produce. Just shy of 93dB, the O203Fs had about all the power they could handle -- I could sense that their woofers were doing all they could with this track’s ample bass and midbass content. So, yes, the AudioSolutions O203Fs did have some output-level limitations, but what was impressive was that their woofers never bottomed out, nor did their sound become ragged. The tweeters’ output remained clean and under control. I said earlier that the O203F had a tonal balance that sounded well chosen by the designer. This was a definite strength -- the speakers didn’t sound dull or blunted, nor did they try to be monsters of resolution. They did a good job of morphing to the music -- or, better yet, morphing to suit the listener, no matter what music they were asked to reproduce. You won’t be able to dissect every single microscopic sound in your best recordings, but for many listeners, that’s not what gives them the ultimate in musical enjoyment. I hadn’t reviewed a floorstander in this price range in quite a while, so I went back to my listening notes for the Aperion Audio Verus Grand loudspeaker ($1998/pair), which I’d reviewed in 2011 but have heard more recently -- a friend owns a pair. With their glossy-all-around curved cabinets and five drivers each, the Verus Grands look a bit more impressive than the AudioSolutions Overture O203Fs. I found the Verus to be a great value when I reviewed it, and it still has advantages over the O203F. First, it can play louder. I could listen to bass-heavy music at levels up to 95dB with ease with the Verus Grands -- the Overture O203Fs couldn’t quite make that happen in my room. Chalk this up to the difference between a well-designed, five-driver three-way and an equally well-designed, three-driver two-way: all else being equal, more drivers often means more sound. But bass isn’t everything. I wrote in 2011 that “Aperion’s tweeter is cut from the same cloth as the Dynaudio tweeters I’ve heard through the years, in that it produced the meat of the highs really nicely, as well as most of the ultra-high frequencies.” Although the AudioSolutions’ tweeters were similar in this regard -- meaty, if not resolution machines -- it was in the treble that the O203F had the advantage over the Verus Grand. Depending on the music, the AS speakers could sound a touch more open in the treble, and this proved important. They had just a bit more sparkle when the highs called for it, which became apparent when I listened to Alexandre Desplat’s score for the film The Secret Life of Pets (16/44.1 FLAC, Back Lot Music/Tidal). This high-energy orchestral music requires a speaker to let its hair down, and that’s just what the O203Fs did. The sound in the highs was quick and agile, but remained painless at all times. There was an effortlessness to the highs that I don’t often hear at this price point, and that I didn't hear with the Aperions. What’s nice about the AudioSolutions Overture O203F is that it can play any music in a satisfying fashion, but without drawing attention to the flaws of poorer recordings -- all while sounding open and resolved enough that it never sounded boring or tame. In short, I thought the pair of them struck just the right tonal balance: not veering too far from neutral, but possessing a slightly fulsome bass range that gave them a sound slightly bigger than I’d expected. They didn’t play ridiculously loud, but they could get up into the low-90dB range without seeming to strain. I can imagine that, not far above that level, you’d hit a point where they’d just stop playing -- but as long as you keep the volume level reasonable, you won’t hear anything amiss. I also like the fact the Overture O203F includes some cool design features seldom seen at this price: The two sets of grilles, combined with the many finish options, let the owner get just the look he or she seeks. Taking all of that into consideration, there’s a whole lot to like about the O203F. 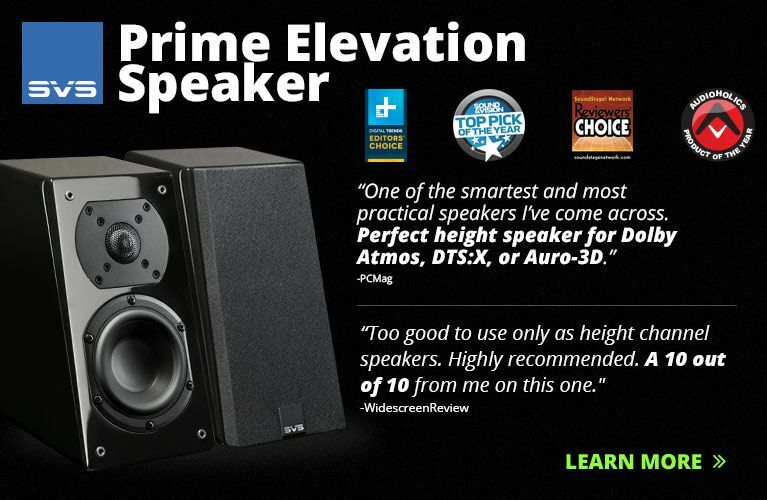 Bottom line: The AudioSolutions Overture O203F is a solid choice of speaker at a competitive price. Which is just what a lot of folks are looking for. Price: $2780 USD per pair.